Reliance JioPhone, which is currently reaching out to six million customers out there in the country is again in the news, but this time, for the bad. 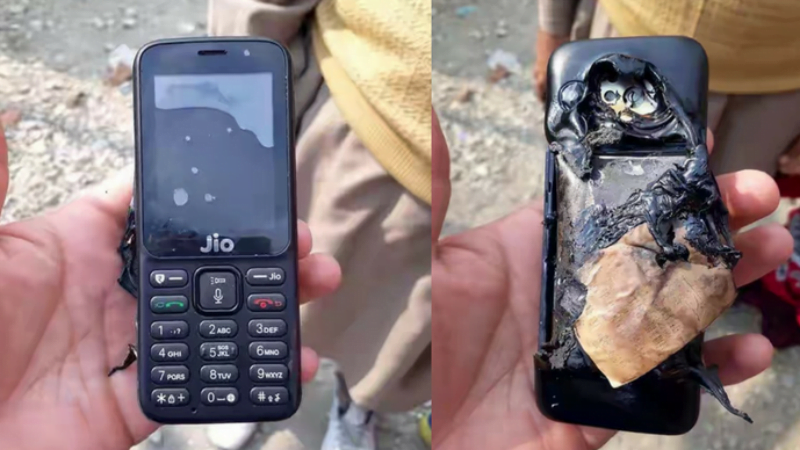 As per a new media report, the Reliance JioPhone has burst into flames in Kashmir, and the best part is the company is aware of the matter and already issued an investigation on the same. A report by PhoneRadar says that the JioPhone has exploded in Kashmir while it was charging. As you can see in the image, the back of the JioPhone is completely burnt and it seems like the display of the device is also affected. Also, the publication managed to obtain an image of the charger which was used to charge the feature phone, and the wire is also reportedly melted. Right after the explosion, the user took the device to a Lyf distributor, who confirmed that the battery of the exploded device is still operational. So, Reliance Jio says that the incident is a desperate one, which is an unusual statement from a company like Reliance Jio, especially after the initial investigation. It’s interesting to see what Reliance Jio says after completely investigating about this explosion. In addition, incidents like these will scare the consumers out there who’re looking to get their hands on the Reliance JioPhone. We will keep you posted once after Reliance Jio releasing the complete report on the explosion. HMD Global Press Event on October 31; Is It Planning to Launch a Nokia 4G Feature Phone? What is there to dare?? Everybody knows that companies are here for business Not charity. And for I think in this digital era, customer don’t need any brokerage firm’s view about rasing tariffs, everyone knows that too. And did u r beloved Aircel & BSNL “DARE” to provide free services like JIO gave?? Answer for this : Free calls from BSNL landline (night, Rs.1199, Rs.1599 broadband plans), Rs.429, Rs.485, Rs.666 mobile plans from BSNL. Prove that jio’s coverage is more than combined area of BSNL (2G + 3G) and Aircel (2G + 3G) everywhere in Tamilnadu. Talk sensible. Is everyone in this forum lives in Tamilnadu?? Is Tamilnadu equal to India??? Every operator has strong and weak circles where they operates. Though I support BSNL, but I am not blind to weaknesses of BSNL like you. Uf you alone get good coverage in jio, does that mean that everyone are getting?. Answer this. Does u r beloved Aircel provides service in Gujarat?? 99% of u r posts are irrelevant to main topic, so I request u to become “Responsible person” and posts logically. 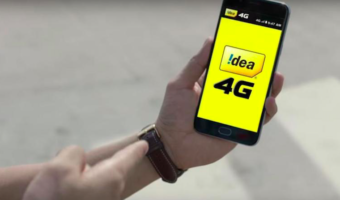 Battery drains less when using single band mobile operators (Airtel 3G, 4G ; Aircel 3G and BSNL 3G) for data because it will not search for other frequency of coverage gets dropped. But in jio, most of the smartphones will sitch to another band only after the nil coverage of each band. It will always stay in weak coverage which leads to battery drain and more radiation. Stop talking about band locking as it is not official method in all the smartphones. Did I mentioned band locking anywhere in my post? ?